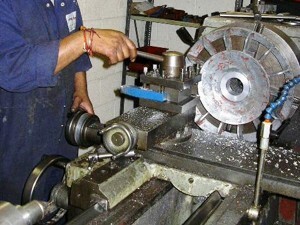 Our machine shop is comprehensively equipped and regularly upgraded. In-house capabilities include dynamic balancing, shaft renewals and repairs, metal spraying, welding, machining, and dynamic balancing. Many products returned for repair require new parts that are no longer readily available. Our mechanical repair capability ensures that parts can be reverse engineered and produced, by our skilled and versatile workforce, in the minimum time.